"You read that correctly - we will be at the Lewisville Gun Show on April 2. Why? Because we are new and innovative, and no one has done this before. We do what other Ham Shops do not. During the Belton Hamfest in 2014, when a Gun Show was happening in the other side of the Belton Expo Center, all you could hear on the local repeater was "Hamfest and Gun Show at the same place! WOW! I need to get back to the ATM!" Hams were thrilled about a Gun Show right next door to the Belton Hamfest; so guess what - we are bringing the Ham Radios to the Lewisville Gun Show, right here in our own backyard. This will be a fun 2-day event. Stop by the table and say hello, we will be the only ones there selling RADIOS and NEW TECHNICIAN books!" First, from Roberta X's trip to Dayton, I love the models in this picture. But wait there is more... they are functional for 2 meters! Check that link for other pictures from her trip. 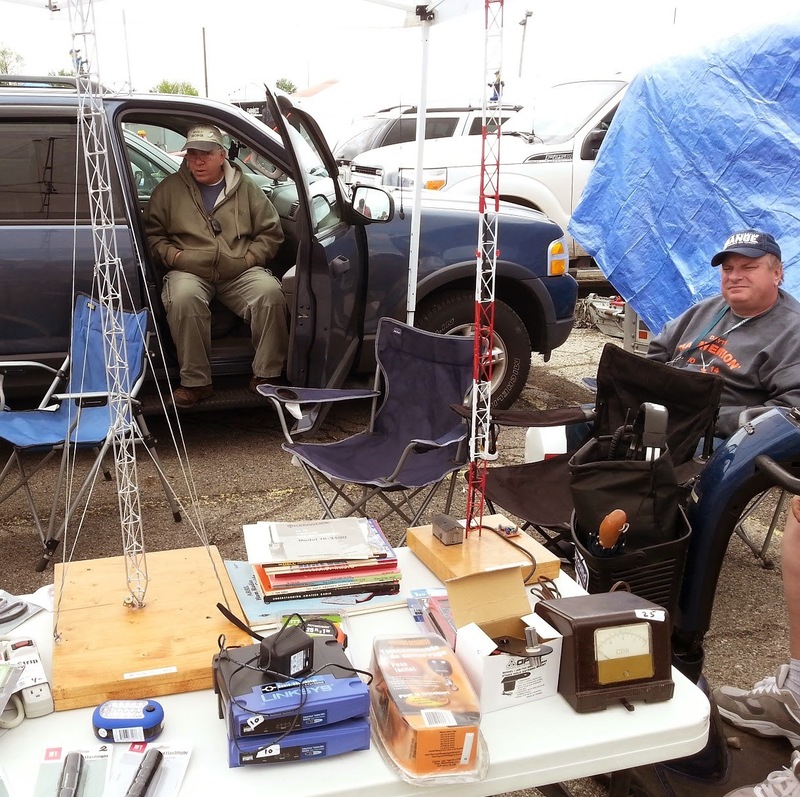 Also, hop over to her other blog for a look at some of her "key" findings at the hamvention. Another antenna seen via @gregmalcolm on Twitter. Unfortunately, I don't have the infrastructure for a hair-tenna. If you happen to be around Tampa in early December, you can get an update on HRD - straight from the horse's mouth. "An exciting last minute addition to the Tampa Bay Hamfest forum schedule. An overview of Ham Radio Deluxe, where it is today and where it is going will be given by Rick Ruhl W4PC. Rick is the President of W4PC Software and Managing Director, HRD Software, LLC, FL. They are the new owners of the software package." I missed the Ten-Tec hamfest, but here is another local opportunity. "Tailgate HAM Fest OCT 8th!!! Come all to the first Sweetwater Hamfest! Coming On I-75 South turn right at the 62 exit on I -75 and after exiting the interstate, turn left at Murray Chapel Rd. and go 2 miles and the Hamfest will be on your right. Coming from I -75 North turn left at the 60 exit on I -75, and then turn right on to Murray Chapel Rd. The hamfest will be about a mile on your left. This is a free event and there will be free coffee and doughnuts while they last! Look for the signs for the Hamfest! No charge for admission or setup! Talk in will be on the W4YJ 145.25 PL 100 HZ repeater. The tone will be off for the event. I'm way behind on my posting and I'm off to the Shelby Hamfest tomorrow. I think I will have to try another "Brick Breaker" some time this week-end to clean out my RSS feed, tabs, and e-mails. 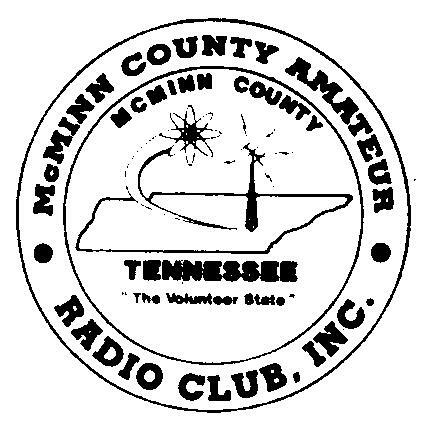 The McMinn County Amateur Radio Club (MCARC) will host its annual hamfest in Athens on Saturday, July 16 at Athens Regional Park. The hamfest is from 7:00 am to noon and is free if you aren't selling. I had already mentioned RACK's 45th Annual Hamfest and Electronics Exposition on Saturday, June 11, but there are a couple of other local hamfests to get on your calendar. "Welcome hams from around the country to the 12th annual Ten-Tec factory hamfest! Featuring a discount sale on Friday and Saturday on new and used Ten-Tec ham radio equipment! Door prizes! Tour of the Ten-Tec factory! Meet the Ten-Tec factory representatives! 4 HF stations will be simultaneously on the air to try out the latest equipment. License testing at 12:30 Saturday afternoon." "There will be a Hamfest in Sweetwater TN Oct 8th! Free admission and free setup. Also, free coffee and doughnuts while they last! Talk in will be on the 145.25 repeater 100 HZ tone. The tone wil be turned off during the hamfest." As I reported earlier, Ed from wouxun.us said he would have a surprise at Dayton. He said it would not be the KG-UV920R, but I was hoping for new hardware of some sort... instead, Dayton attendees could pick up a KG-UVD1P for $85! Price of $85 confirmed here. Amazing. Since I'm new to the hobby, I haven't attended any of the previous 44 hamfests sponsored by the Radio Amateur Club of Knoxville (RACK). I plan on attending this year. There will be the usual dealers, clubs, tailgating, exams, and demos. They are giving away a Kenwood TS480SAT as a door price. That's about a $1000 rig!